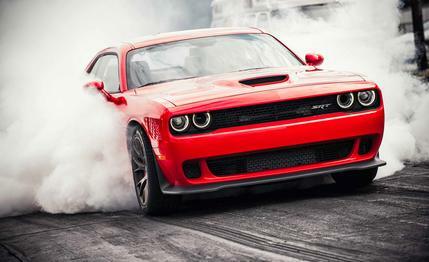 Remember last week when Dodge recalled every single Hellcat on the market?? Well, that doesn’t seem to matter much to consumers as Dodge is now suspending all orders of the 707 hp Hellcat Challenger and Hellcat Charger models due to OVERWHELMING DEMAND! In fact, this year alone, Dodge has already received twice as many orders as it planned to build for all of 2015. But that’s only the beginning of the story; things get crazier from there. And that is the real reason that Dodge is suspending all of its orders. They don’t want their customers to be subjected to that treatment. WOW. Talk about some complete bull s***. But, I guess we shouldn’t be surprised. This is just yet another example of dealerships and CAR SALESMAN acting like complete scammers, only looking out for themselves. Which leads me to my next question: why are dealerships even around anymore?? At this point, we should all be able to buy directly from the manufacturer– that way we can avoid hidden costs, avoid dealing with the middleman, and most importantly… avoid being SCAMMED. Of course, Elon Musk has been fighting this battle for the past few years with no success. That’s because, as usual, politics has gotten in the way. This entry was posted in Culture, Dodge and tagged challenger, charger, dealerships, direct sales, dodge, Elon Musk, fiat chrysler, Gualberto Ranieri, hellcat, suspend, tesla. Bookmark the permalink. If dealerships are allowed to sell a vehicle at a discount from MSRP then why can’t they charge above MSRP? It’s called supply and demand…. Did Dodge really think this wasn’t going to happen? Finally a brand is going to take a stand and do what is right for the buyer. I wish Ford would look at this and do the same with their dealers about the Mustang. I agree with doing away or severely limiting dealerships. I can go online build a vehicle but still have to deal with a smarmy dealer salesperson. So why bother ‘building’ the dream vehicle I want on their web site? Dealerships only want to sell [push] what they have. Lets be able to build online and be done with it! It would save everyone time and money!! !